When you watch good videos online on a browser then you want to download into your computer and keep in save for future consideration.So this article is about to the Download option in Mozilla Firefox.I will tell you how to select that option in Mozilla Firefox. We see most of time that Mozilla Firefox do not allow Internet Download manger due to security issue and that browser permanent disable IDm. So you can install some other application shows that option again. 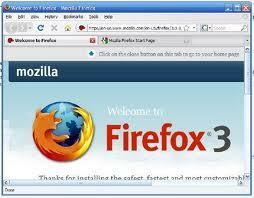 First just install latest version of internet manger and Mozilla Firefox and then resolve your issues. Click on option 2.Extension and write you-tube down-loader in Search bar in that page of extension then you see many application which are ready to install then its depend on yourself which you want to download. Just simply click and install any down-loader and after installing restart your Mozilla Firefox and for checking type in address bar you-tube.com and watch video then you can see Download option also. After installing IDM in your PC, and Integrate Internet Download Manager with Firefox. IDM give you a "Download This Video" button pops up whenever you are watching a video. Simply click on the button to start downloading your desired youtube video.